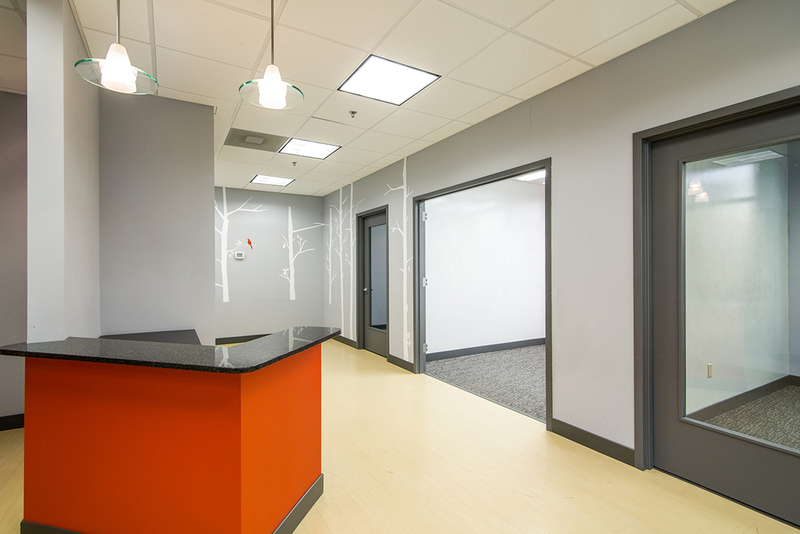 In a city that really battles to keep good jobs here, we're proud to have provided the well-designed, modern offices and examination rooms at 207 Washington Street in Poughkeepsie. It's a project that really showcase what Baxter has been able to accomplish in terms of commercial development and construction, not to mention property and tenant management. This brick, steel and concrete ground-up construction is now a class A, high-end medical space, complete with fit-outs designed right here in-house at Baxter, along with architects at Liscum McCormack VanVoorhis. We also stayed on to maintain the attractive, well-located 14,000 square foot building and manage the variety of medical tenants that now call it home. It's been excellent for exposure and access to their clients and patients -- within walking distance to Mid Hudson Regional Hospital and only minutes to Vassar Hospital, as well as banks, restaurants and municipal buildings in downtown Poughkeepsie.